It was decided in 1911 to enlarge the Welland and work began in 1913. Completed in 1932, it set the standard for the present Seaway. The locks are 800 feet long and 80 feet wide. Officially opened in 1932, it was the first time a large upper laker could steam down Lake Ontario to the grain elevators at Kingston and the new elevator at Johnstown. 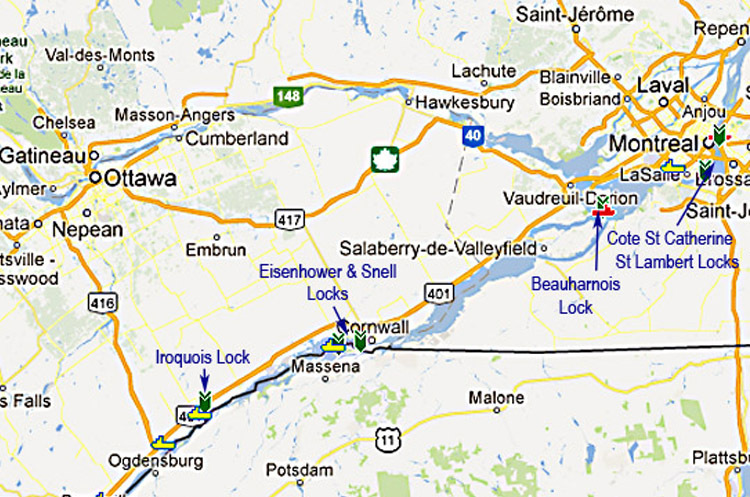 Once again the lower St. Lawrence Canals became the bottleneck for the transportation of bulk commodities from the upper lakes to the ocean. This was especially true during the years of the first and second world wars. Another factor pushing the necessity to build the Seaway was the rising demand for electricity on both sides of the border. The potential of producing two million horsepower from hydro electric power plants eventually overcame the opposition to the construction of the Seaway. To give you an idea of the power of this section of the river, the average flow rate is 237,000 cubic feet per second. Therefore, in just a mere four and one half seconds, more than a million cubic feet of water has passed through the control dam located at Iroquois. As early as 1895 the Governments of and the United States jointly appointed a deep Waterways Commission, charged with a study of all possible routes between the Great Lakes and the sea. Competition between the Erie Canal and the St. Lawrence route, as well as the proposed Georgian Bay Ship Canal, was then very much in the air. The Commission reported in 1897 in favour of improving the St. Lawrence route, and from that date began the opposition, including the railroads, the Atlantic coast ports, ports in Texas, and also some cities of the mid-West. 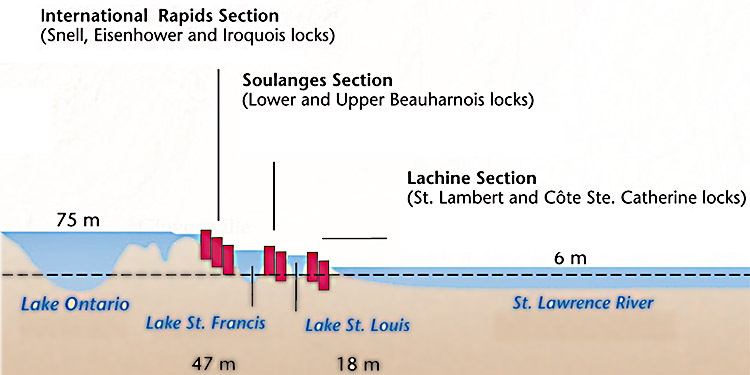 In 1909, as a development of the earlier Commission, Canada and the U.S.A. signed a treaty establishing the International Joint Commission which, thereafter, was responsible for all studies of power and navigation on the St. Lawrence, as well as for all other boundary water questions. Political developments in both countries led to the power project becoming the responsibility of the Province of Ontario and the State of New York. Joint Boards of Engineers labored through the years, preparing and refining plans for the most efficient use of the International Section, always with both power generation and deep-water navigation in view. The opposition continued unabated. Even though a treaty covering the power development with associated locks was signed by both countries in 1932, it failed to win the necessary two thirds majority vote in the Senate of the United States and so remained inoperative. The urgent post-war power demands in Ontario and New York for utilization of the two million horse power still going to waste down the Long Sault, plus the development of the iron ore mines in the Labrador pushed the affair to a crisis which had to be resolved. 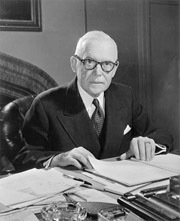 Finally, the Prime Minister of Canada, Mr. Louis St. Laurent, in a meeting with President Harry Truman in the White House in September 1951, made it quite clear that Canada was prepared to go ahead to build, on its own and at its own expense, the new navigation facilities in association with the building of the international power house by Ontario and New York. Action followed, although still impeded by appeals all the way up to the Supreme Court of the United States. 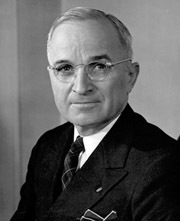 At last, on 13 May 1954, the necessary legislation was passed by the U.S. Congress. The engineers of both countries were ready. The first sod was turned near Cornwall, with all due ceremony, on 10 August 1954. The Hydro Electric Power Commission of Ontario and the Power Authority of the State of New York were jointly responsible for the power development. 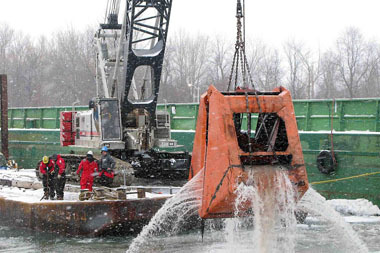 Their work had to be completely integrated with that of the two navigation agencies, the St. Lawrence Seaway Authority in Canada and the Saint Lawrence Seaway Development Corporation in the United States. All costs of the power development were shared equally, since the flooding of lands upstream of the power house were naturally a joint responsibility. The total cost of all navigation and power facilities approximated one billion dollars. This vast expenditure was spent in just five years, a phenomenally short time for so great a project, with works extending throughout the 190 miles from Montreal to Lake Ontario. By way of comparison, it took ten years to construct the Suez Canal, with no locks, and twenty two years for the Panama Canal. Over 500 professional engineers were at work at the peak of the design activity of the four main agencies alone. Many other agencies were involved, directly and indirectly. Hydro Quebec was involved with all the works impinging on the Beauharnois power development; and Canadian National Railways with the relocation of 20 miles of their main line west of Cornwall, and with the “twinning" of the Victoria Bridge at its southern end. At one time no less than 22,000 men were at work between Montreal and Lake Ontario, all engaged on integrated parts of the overall project.